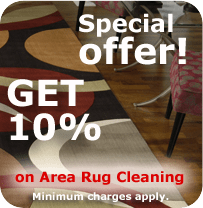 Get 10% off of any area rug cleaning. Call today to make an appointment. (510) 783.4000 (925) 967.4550 Minimum charges apply. Call for details.